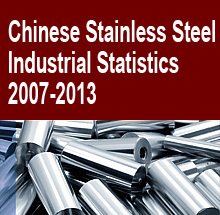 The Statistical Yearbook is an annual compilation of a wide range of China's iron ore import statistics on over 40 countries and areas, compiled from survey which covers over 300 Chinese steel mills' consumption of iron ore and over 150 Chinese iron ore traders' purchase & supply, data sources including China Customs and National Bureau of Statistics of China, national and industrial organizations. · Which ports were iron ore cargoes, from specific countries, delivered to and dealt with in 2013? and what was the quantity? 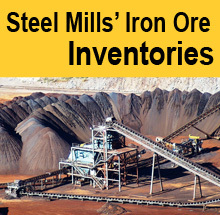 · Iron ore importers who were/are importing iron ore from that country? 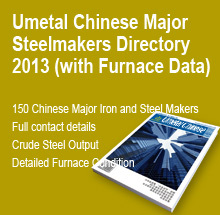 · Steel mills/plants who were/are using iron ore from that country? 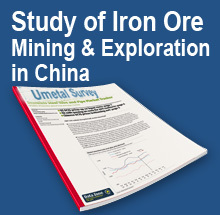 The Statistical Yearbook contains iron ore import data, for specific regions like Iran, Phillippine and Malaysia, as of 31 December 2013 and presents them in charts & tables on topics such as: customs clearance of imported iron ore by ports; quantity imported by Chinese importers; Iron ore consumption by Chinese steel plants; prices; and etc. Accompanying the charts & tables are technical notes providing brief descriptions of the data. The Statistical Yearbook is in PDF format. Subscribers to the 2013 Yearbook will enjoy 20% discount to other Custeel products; Custeel FULL ACCESS subscribers also receive a 20% to the 2013 Yearbook!